A funny illustration of a penguin busking for food. The penguin id a King penguin. His guitar has the Jamaican flag painted on it. 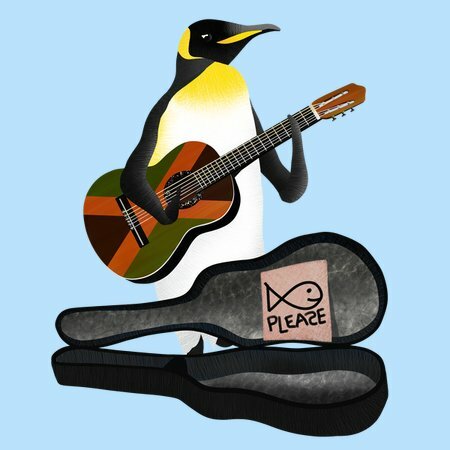 He has his guitar case open at his feet, with a sign asking for fish. 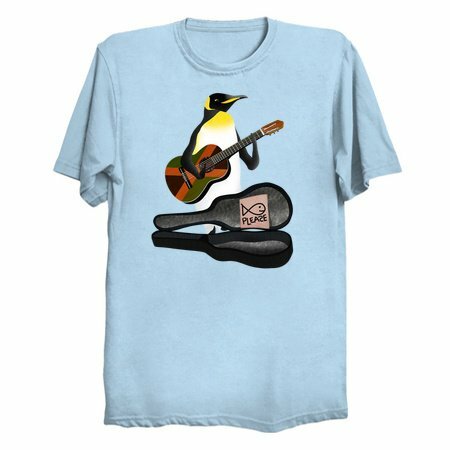 A cool t-shirt for people who are, or who love street performers.